At 4A's Transformation, Marc Pritchard offered a sweeping plan to change how agencies and clients interact. Brands and agencies, often at odds with each other, need to work together to deal with a media landscape crowded with "too much crap." 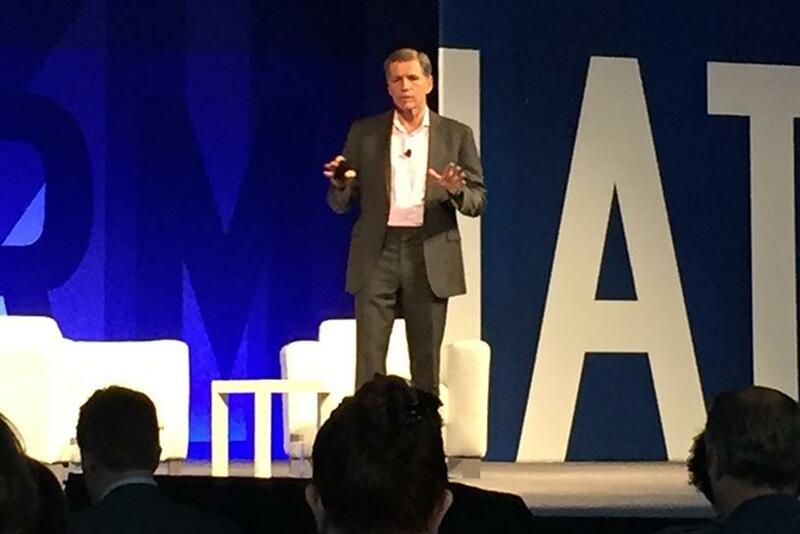 Marc Pritchard, chief brand officer at P&G and board chairman of the ANA, delivered a blunt assessment of the challenges that face the ad industry, and few escaped blame. "We bombard consumers with thousands of ads a day, subject them to endless ad load times, interrupt their screens with popups and overpopulate their screens and feeds," Pritchard said, during his keynote address at the 4A’s Transformation conference in Los Angeles on Tuesday. "We’re awfully busy, but all of this activity is not breaking through the clutter. It’s just creating more noise." Pritchard relied on his reputation as an ad agency ally (outgoing 4A’s CEO Nancy Hill introduced him as someone who has great admiration and respect for the agencies he works with) to offer some straight talk: Ads are too expensive. They’re not driving client sales growth. Agency structures are too complicated. But he took some responsibility for the creation of that situation. "P&G fed the complexity beast by hiring thousands of agencies globally," he said. "With a specialist for everything, it was difficult to determine who was in charge of anything." That led P&G—the world’s largest advertiser—to consolidate its agency roster, he said, cutting it in half. While that may not seem like good news for agencies, Pritchard stressed that the ones who made it past the cut can expect better consistency and better compensation. Now, 20 percent of P&G agencies are responsible for 95 percent of the work. "Having agencies that don’t make money is not a sustainable business practice," he said, to applause from the crowd. "We’re refining our compensation model to make sure we’re paying for the work that you do and the talent that you bring to our brands, especially the creative talent." At the same time, Pritchard asked the industry to make sweeping changes. "We need you to consolidate skills and services," he said, bemoaning the existence of digital agencies. "Do we still have print and out-of-home and radio agencies? Of course not, because we expect our agencies to be skilled at all mediums." He also made it clear that P&G has a "zero tolerance" policy when it comes to brand safety, so even a single ad appearing next to content promoting hate or terrorism was too much. The latest media scandal aside, he called for improved transparency in media buys. Right now, there are "too many players grading their own homework," he said, urging the industry to immediately adopt viewability standards from the Media Ratings Council and accredited third-party verification procedures. But when the relationship between an agency and a brand works like it’s supposed to, Pritchard said, the creative can affect positive change in the world, like advocating for gender equality, diversity and equal pay. That drives growth, too. "This isn’t philanthropy and public service," he said. "It’s everyday advertising that expresses points of view on issues that matter."